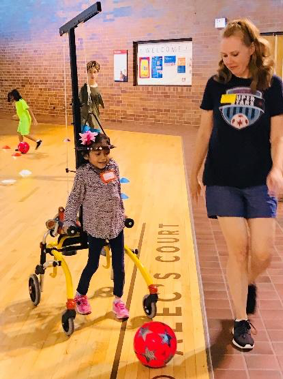 I often get asked, “What does an Occupational Therapist do?” And more importantly for Chicago Superstars, “What do you do at a soccer practice?” So let me try and explain the role of Occupational Therapy (OT). 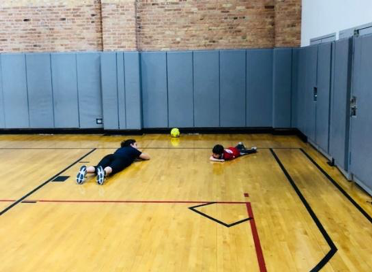 So how do these skills come into play during a Chicago Superstars soccer practice? First of all, due to our educational background, OTs are aware of the effects, symptoms, and behaviors that accompany a wide range of diagnosis common in children. Therefore, before a child even shows up to the first day of soccer practice, we will have a general idea of the modifications and supports that will need to be in place for this player to succeed simply based on their diagnosis. Another great advantage is that all OTs have been trained in the use of support equipment, such as braces, wheelchairs, walkers, etc. So when a child shows up at soccer with any extra support devices, we are able to assist the child and give them the confidence to play soccer while using the equipment. With the willingness to engage the child and encourage them to play, it makes the child more willing to participate. Recently, while running a clinic at Shriners Hospital for children, we encountered a little 6 year old girl who was just sitting in her wheelchair watching on the sidelines with her mom. After coaxing her to try and use her hands to throw some goals into the net, she decided to actually go get her walker and participate! She said she would play if the OT was her buddy and helped her score goals for the remainder of the practice; proving that a little encouragement goes a very long way! This familiarity and confidence not only gets more kids out on the field, but creates a sense of comfort for the parents. For example, we had a mother who was worried that her son would throw a tantrum with the person he was working with, but as soon as we told her that the person was a trained OT, she stopped mid-sentence and her need to explain the situation was no longer necessary! As a pediatric OT, we are also well aware of the behaviors that come along with certain diagnosis, which makes an OT unique in using certain skills to motivate a child to participate in soccer. Often during soccer we have children that get distracted or would rather sit by their parents or play in the grass. But through observational evaluation of the child and a simple interview with the parents, we can determine what will get the child back out on the field. Sometimes it just requires a simple break, talking it out, and getting down on their level to let them know you understand how difficult it is for them to participate. Occasionally, we’ve had to come up with behavior medication plans that we work out with the parents in between practices. For example, once I had two children that liked to antagonize one another. By helping child A come up with a secret hand signal to tell his helpers that he was getting irritated, he was able to stop screaming and use his new hand signal, which thoroughly confused child B who loved to make his friend scream. Child B had no idea why his friend stopped screaming when he was trying to push his buttons! Therein, the behavior modification plan reduced the screaming from child A, and the instigating from child B, and both participated in soccer in a more stress-free environment. One of the more important OT roles in regards to Chicago Superstars is supporting and teaching the Buddies how to mentor their players. While scanning the practices, I’m able to see who might be struggling with their player and do a quick check-in with the Buddy to find out how things are going. Sometimes they just need cues to let them know that it’s ok if their player needs a break. We had one player who looked like he might crawl out of his skin every time he was touched while being guided to the next drill, so being able to cue the Buddy to only use verbal directions helped the player feel more comfortable. 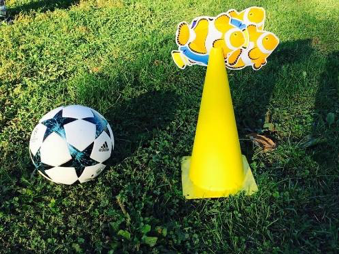 A lot of an OTs work requires thinking on the go, such as making simple modifications to use colorful or lighter balls and implementing fun visual attention-grabbing cues for the kids to kick a soccer ball through a goal. However, what I find about being an OT is that it is mostly just about having fun! An OT in the soccer setting has done his or her job if everyone is participating and succeeding at their level, and if the kids leave practice feeling like they are part of a team. Chicago Superstars is a well-staffed program with supports in place to make sure each child succeeds. With the Coach, Buddies, Therapists, and Volunteers at each practice, there is always a helping hand to make sure each child reaches his or her goals.